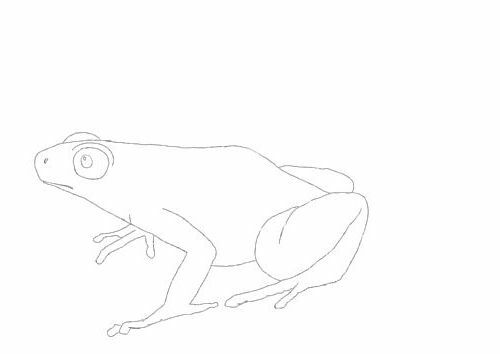 Frog Drawing is an interesting niche of wildlife art because frogs are simply a delight to draw. If you're lucky you might be able to see one at rest giving you an opportunity to sketch. I'm fortunate enough to live a short walk from a protected marsh and can easily find frogs and one species of toad in the right conditions. 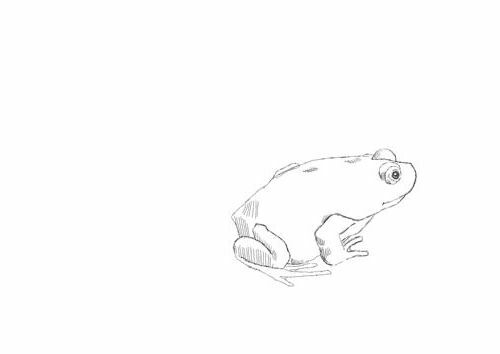 If you can't get to see frogs in the flesh, work from a photograph. 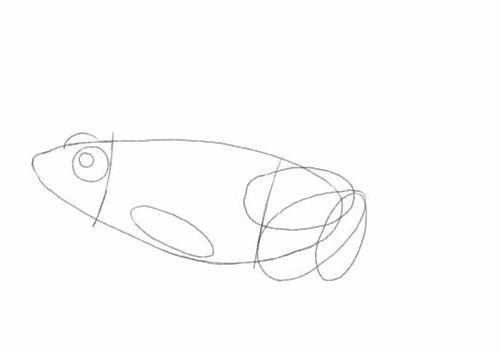 This free drawing lesson will get you on the right path if you are starting out and I've been told by many people who were already experienced artists that my simple approach has enabled them to improve their own work. 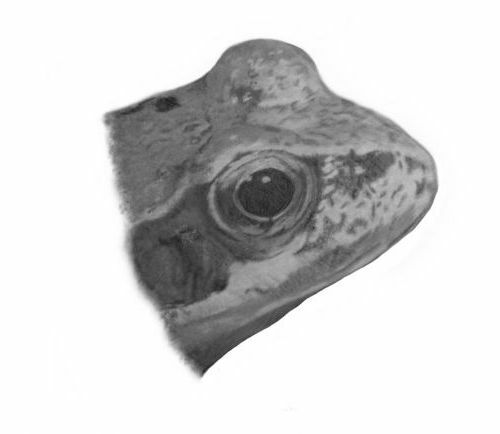 This is a little study of the common frog done with pencil and wax crayon. 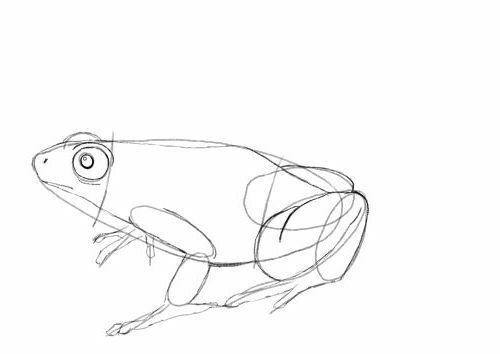 For this two-in-one drawing lesson on how to draw a frog you will need paper and a 2b pencil. 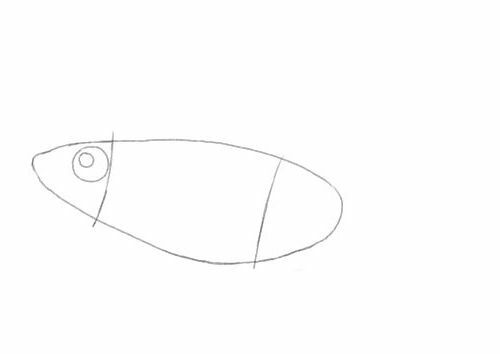 1, Draw an elongated oval at an angle. 2, Divide with two curving lines about a quarter from each end. 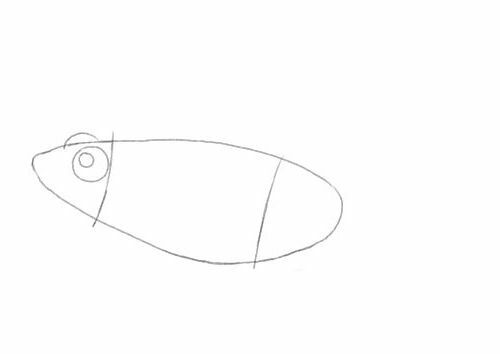 3, This circle is the eye socket on the farside of your frog. 4, Make another circle on the nearside as shown. This will be about the same size as the first. 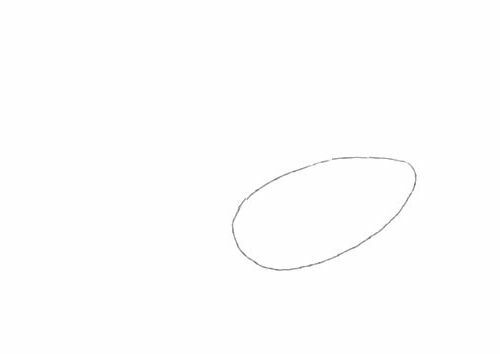 5, Draw a third circle slightly smaller. See how it intersects with the last circle. 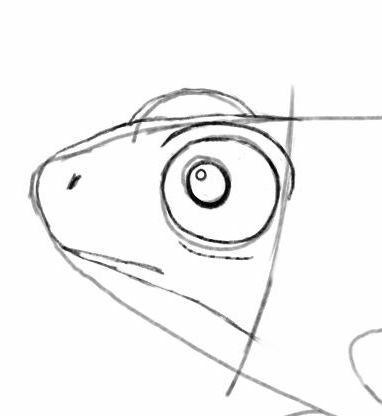 This is where you will draw the actual eye of your frog. 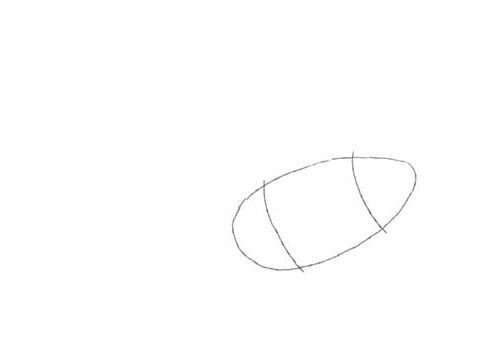 6, Draw this rough oval in the right hand bottom of the large oval. Note it is to the right of the dividing line. It shouldn't quite fit in the large oval as you can see. 7, Draw two smaller ovals at about halfway along the central part of the large oval. Your guiding shapes are complete. 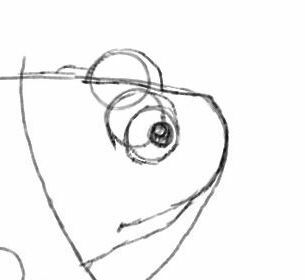 8, The close up shows how I used the shapes to draw the head of my frog. 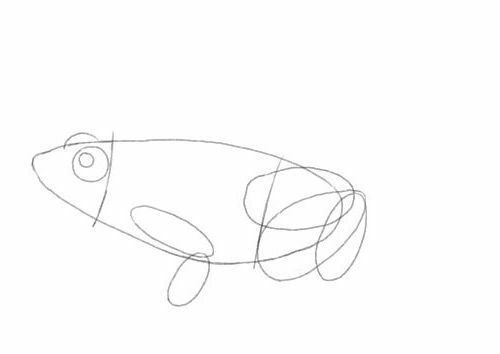 Take your time when copying this. See the guides do not dictate where I draw my lines. I am always in control and you must be too. 9, Use the other shapes to help you finish your frog drawing. 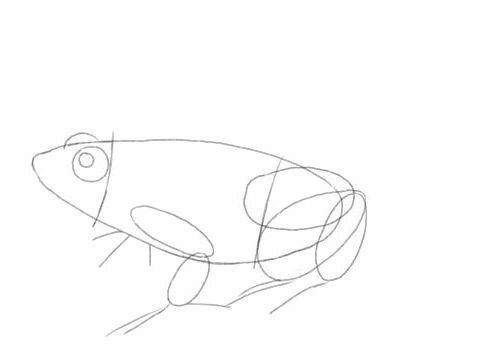 In our second exercise we will use the same technique to draw a different type of frog. This is quite possible despite the range of sizes and shapes amongst frog species. 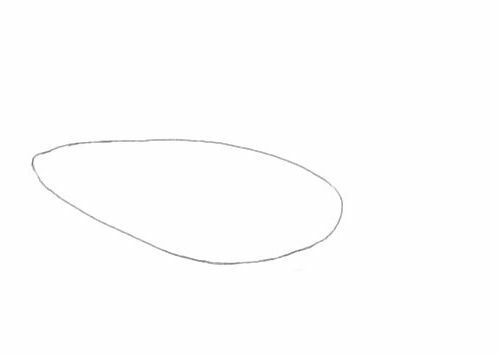 1, Draw an oval but stretch it thinner on one side. 2, Divide with two curved lines but note the difference because the frog is at a different angle than the first frog I curve the lines differently. 3, Two circles for the one visible eye. 4, A dome for the other eye. 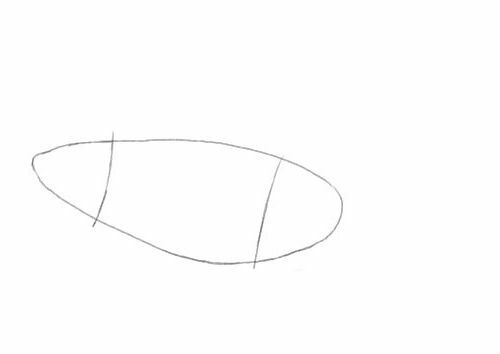 5, This oval is the only visible part of the farside leg. 6, Because the frog's equivalent of the human knee is nearer to the viewer than the 'ankle' we have to make it bulge. This oval is wider at the knee than at the ankle by far. 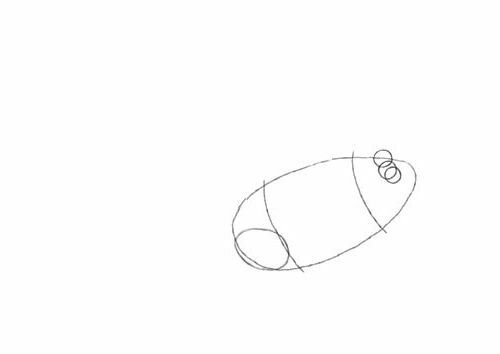 7, This oval will be the upper part of the frog's rather long foot. 10. These line will tell us where to place the toes. 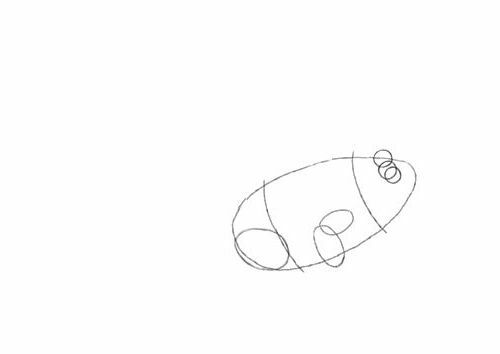 We are only drawing three on each foot because of the angle of your frog drawing. 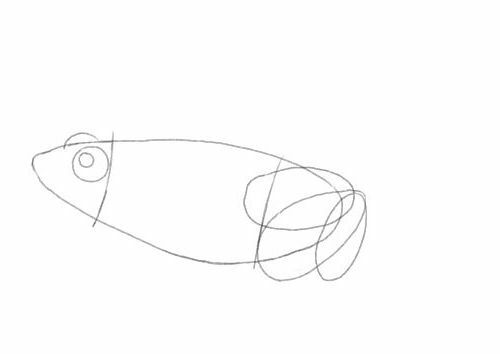 11, As in the first exercise copy the head as illustrated. 12, Do the same for the rest of your frog. 13, I traced the drawing for clarity and made it is ready for further development. Please check out all my other tutorials on from-sketch-to-oil-painting.com. They are all completely free. When taken together they make a powerful resource for artists of all abilities.